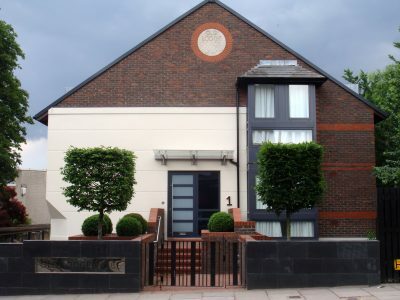 Old Lodge Place is a desirable apartment conversion on a split level site near Twickenham station. 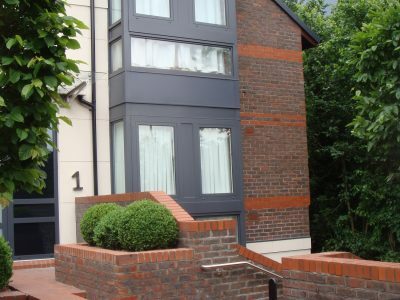 The former commercial property has been refurbished as high quality apartments with communal parking and landscape gardens set within a mature sylvan setting. A combination of topiary and natural hard landscape finishes integrate the scheme with the local streetscene. 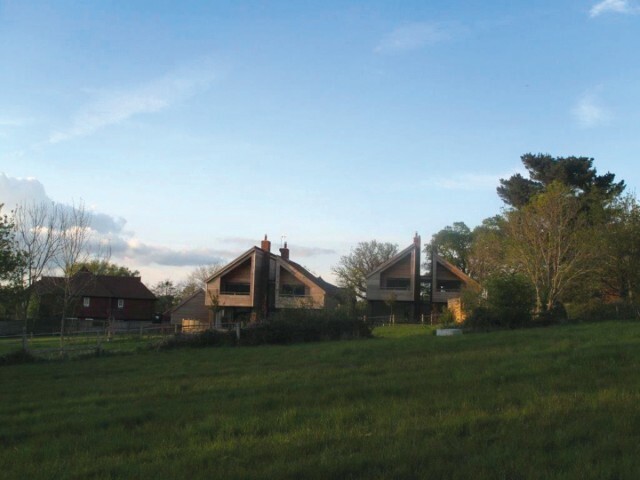 Achieving sustained planning success by making special cases in sensitive locations is a feature of the DA project portfolio. 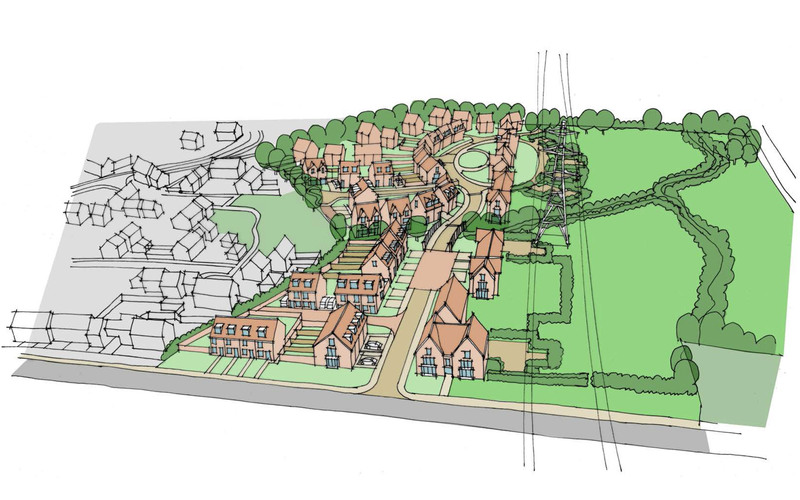 The illustration depicts farmstead replacement development in the Surrey Hills AONB granted detailed approval Spring 2014. 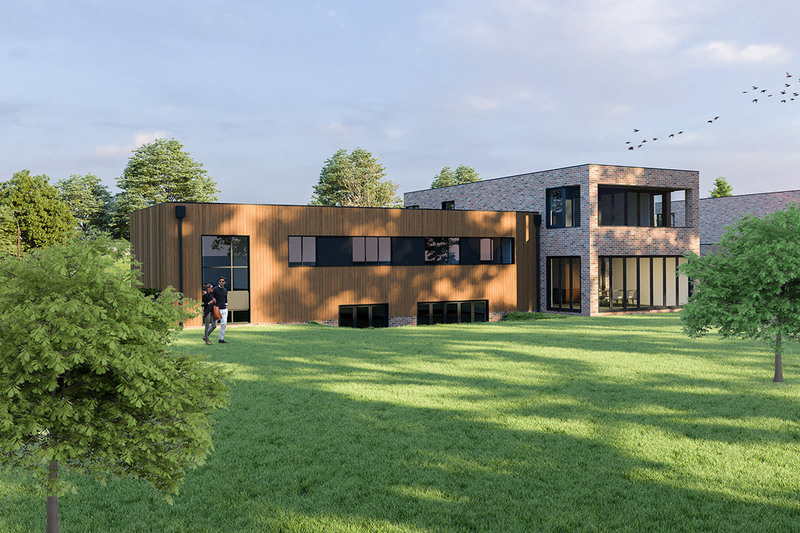 Working with WS Planning and Architecture, DA advised on landscape impact adjacent to a Listed Parkland setting providing a detailed strategy and visualisation with Earth Productions. 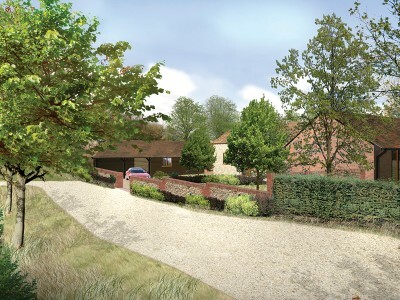 A landscape management plan was also provided to integrate the proposal. Completion is anticipated autumn 2015. Work continues in the Green Belt, South Downs National Park (inset photo), Conservation Areas and other constrained areas of the southern UK. 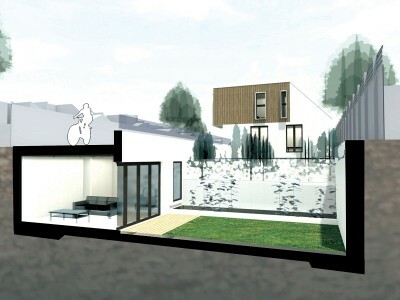 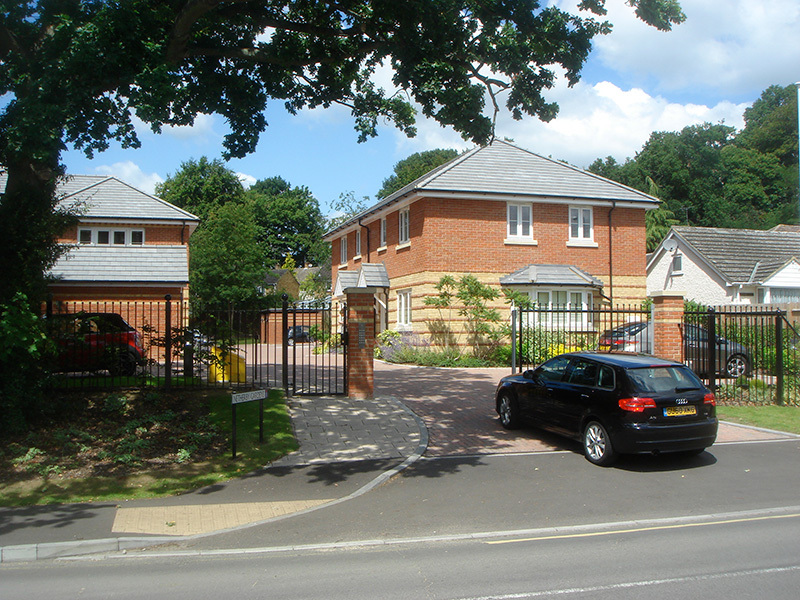 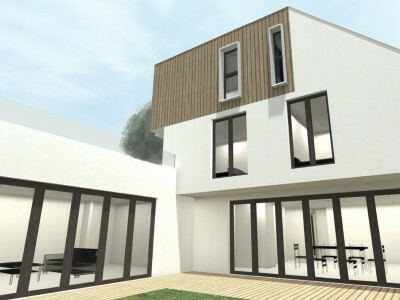 DA provided landscape and ecological advice for an unusual residential development at Teddington. 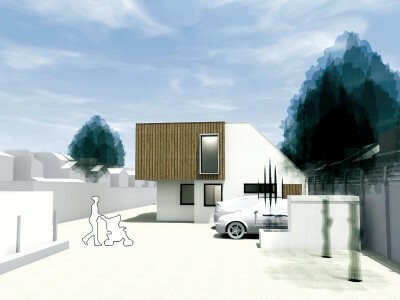 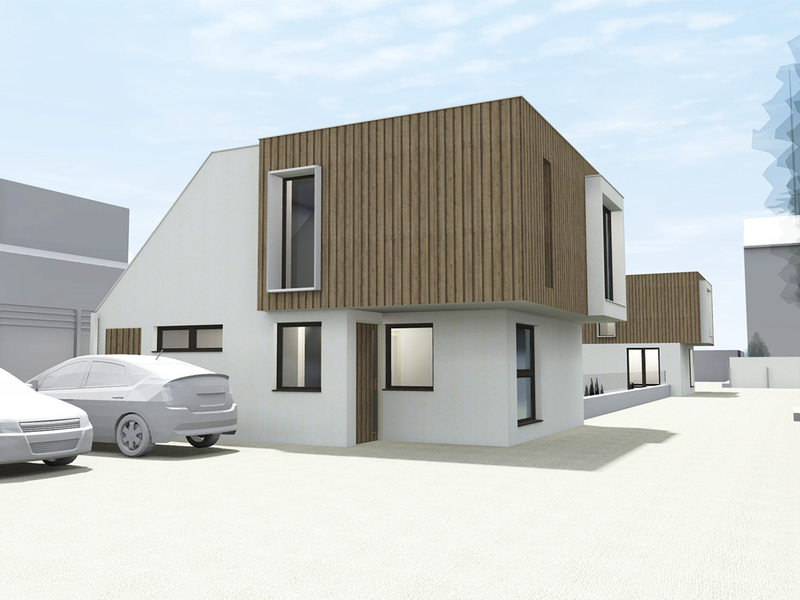 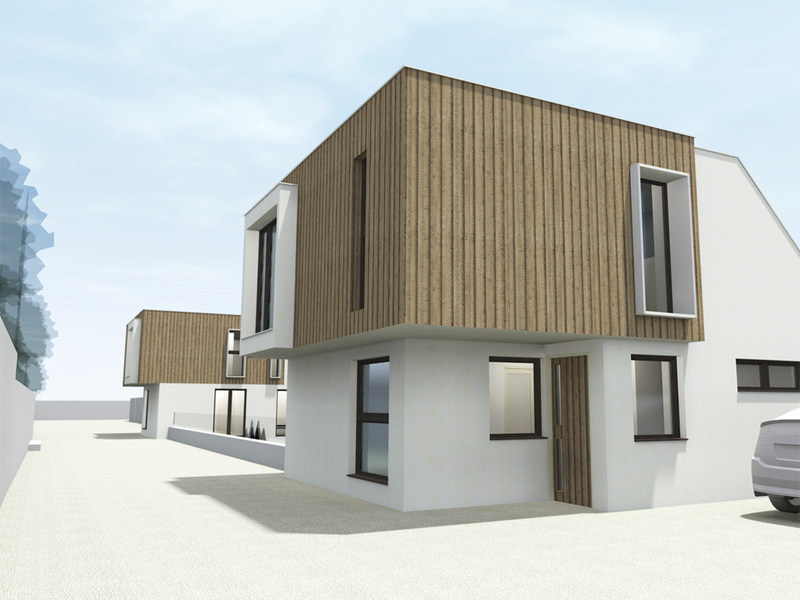 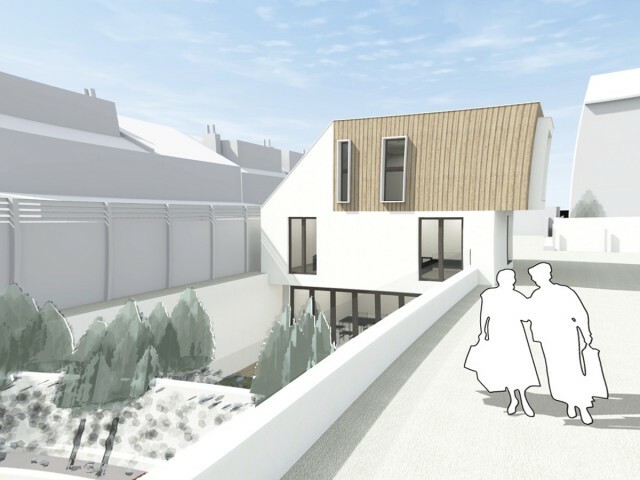 On redundant backland space two units are proposed. In order to comply with the strict planning constraints on overlooking and flood risk the design adopts basement living and garden space. Existing brick retaining walls frame the new sunken water features that incorporate grey water recycling. Green roofs and street level tree/ climber planting are also included to enrich biodiversity in this urban environment. 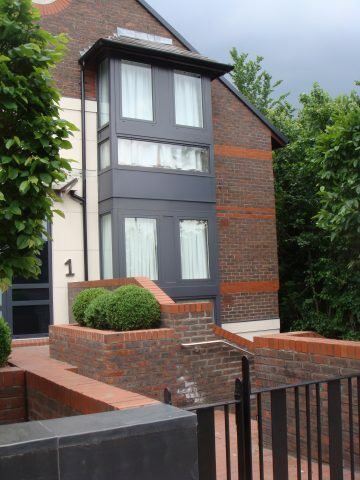 Granit architects have co-ordinated the detailed application to LB Richmond on behalf of Petrow Estates. 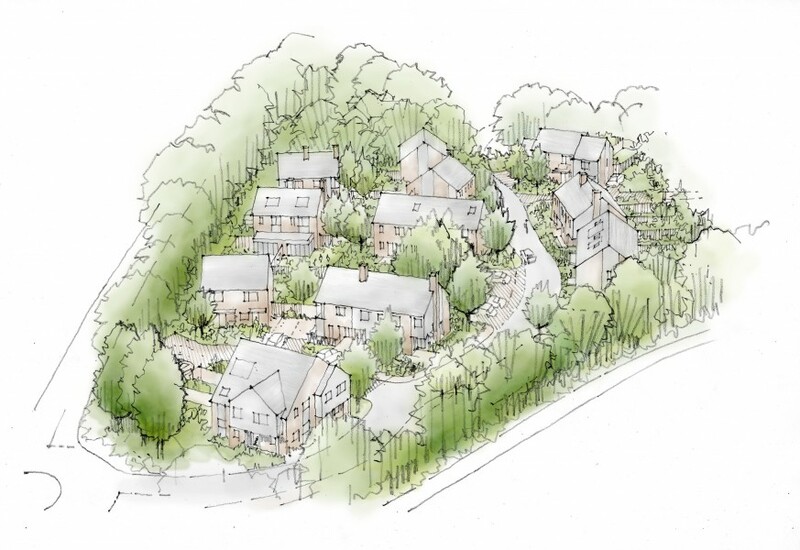 DA have completed another successful development for T A Fisher in Bracknell including retained woodland in a managed landscape setting. 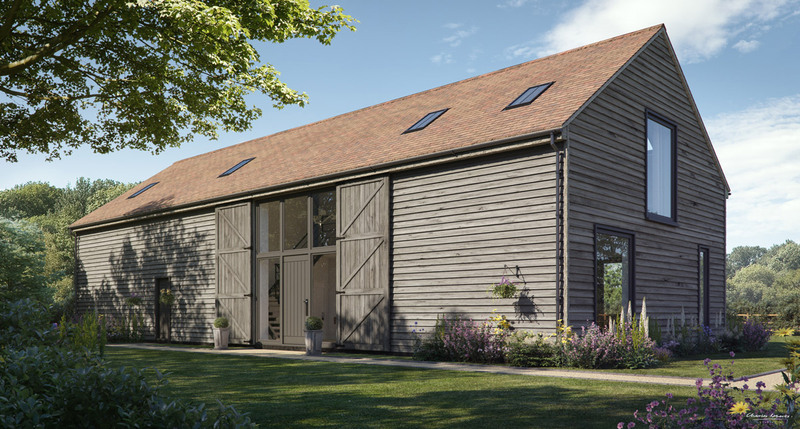 DA have also been working with the same client on a Listed Farmhouse conversion/ residential development locally and at Newbury on mixed development.